Hello to my beautiful Kai Chi Do family! I would like to ask a favor. 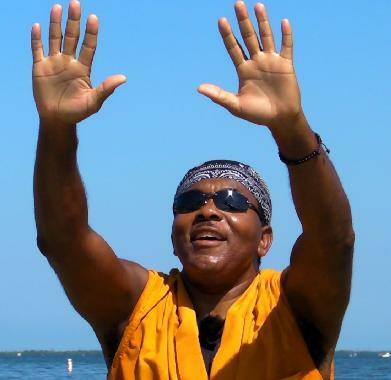 Could you please add an intention to call upon the rain to shower the fires in Florida and all other active fires in different states during your Kai Chi Do circles or do a personal guided Rain Dance? At first I searched for Sacred Rain Dance songs to make a playlist to send out to all but then it was clear to me to let each person listen to their inner guidance and do what felt right from their heart and this sharing would unite and be sent out with love. Perhaps we could also share this intention with friends as well on this quest. 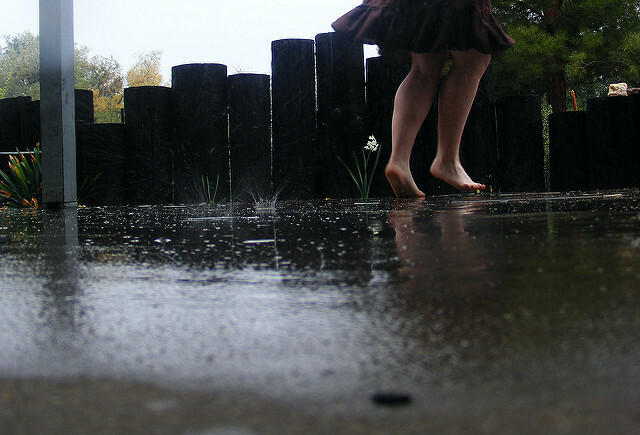 I have added some Rain Dance songs to my playlist and will continue to hold the vision of the rain showering the Earth where needed and hope to encourage others to do the same as well. Blessings of Love and Peace to all of you in all moments from my Heart to yours! Instructor Francine Brown brought Kai Chi Do to the Chicago Neighborhood Youth Corp, a Chicago Police Department Summer Youth Program, and the results were amazing. The Youth Corp is designed to break down barriers and encourage trust, build community, and inspire service. Those goals are in perfect harmony with the purpose of Kai Chi Do – to help people to experience the feeling of Connection, to Source, Self, and others. We are so proud that Kai Chi Do was a part of this program! Thank you, Francine! Kai Chi Do was ROCKIN’! 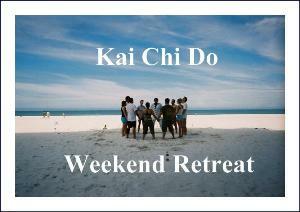 The Kai Chi Do Weekend Retreat is November 11-13th, and there’s still a few openings. Uplift your consciousness. Join us! Life Energy moving through the body as we connect as a community. This is the coming together of community. The joining of hands. The coming into harmony with each other in the moment. As we reach out to each other, we reach out to aspects of our Self. We open our mind. We open our heart. To the beauty of this moment. Let’s get past the illusion – the illusion of separateness. Energy moving through the system. Feel that connection of Life Energy, of Chi. The environment responds to us as we relax – into the environment of love, of compassion, of unity. Feel Life moving all around you. Celebrating Life. The connection with each other – with deeper aspects of ourself. Feel that movement of Life through your body, through your mind. Inhale…Exhale. Coming into your Center, into your Core. Pushing out. Inhale. Take a deep breath in, pulling that breath deep into your Center. Feel the movement of Life, the movement of Chi. Connecting with your Center, as we create a good balance between our Self and the world around us. This is holding Center as the world goes round. Holding Center as the world goes round. Staying in our Center as the Earth spins. Staying in our Peace as the Earth spins. Everyone Inhale, and then Exhale. Staying in our Center as the world turns around. Releasing all resistance, all struggle, all fear, all doubt, all worry. Just let it go. Now bring it into your Core, into your Center. and then bring it back down. You’re going to feel the Energy moving through your body as you breathe. Coming into your Center, into your heart Center. Just relaxing into a quiet place inside yourself, inside your heart. Take a deep breath in again. And then Aaahhh…. 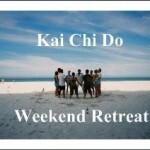 We’ve got another Kai Chi Do Weekend Retreat scheduled – for July 15, 16, 17th and we’d love for you to join us. It’s a place to let go of all the noise that’s pulls you out of alignment with your Self. The Retreat experience quiets your mind, energizes your body, and blends them both with your Spirit. Read more here.